presented by CORA Health Services, Inc. & Personal Running Solutions. ​La Carrera de Campeones, presented by CORA Health Services and Personal Running Solutons, is Northeast Florida's first seasonal racing series is back for the fourth year. Sponsored by CORA Health Services and Personak Running Solutions, La Carrera De Campeones (Race of the Champions) features fall and spring seasons and has the deepest reaching payouts of any race series in the area. The series challenges runners to compete not only against other runners but themselves to become the fastest runner in the area. CORA is an outpatient rehabilitation company providing a full range of services for clients with orthopedic, sports injuries, work related injuries, and various neuromuscular and neurological conditions. CORA offers a full range of cutting edge therapies. From aquatic therapy to ASTYM, CORA has a program for every walk of life. CORA Rehabilitation Programs include Sports Injury Rehabilitation, General Rehabilitation and Physical Therapy, Worker's Comp Rehabilitation, Rehabilitation for Seniors, and Auto Injury Rehabilitation. Visit www.corahealth.com for more information or to contact one of the many locations on the First Coast. 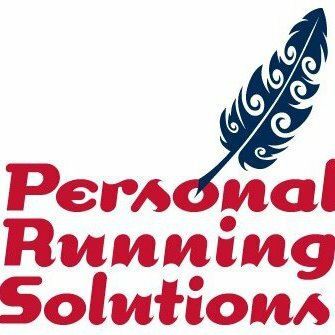 Personal Running Solutions has specialized in providing coaching and personal training solutions for Jacksonville and the surrounding areas. Their catch phrase is "Personal Training, Personal Results" and this could not be more true. Whether your plan is to run your first 5km or to qualify for the Boston Marathon they have a program for you. They now have an assistant coach who brings a wealth of knowledge and expertise in the triathlon discipline. GO ahead and give them a try. You will NOT be disappointed. Visit www.prsJAX.com for more information about training programs and services. There will be two separate competitions to challenge runners in 2017. The first will be the spring series and the second will be the fall series. In the spring series participants will be required to run a minimum of 3 races and a maximum of 5 races. The top 3 times from any of the 5 races will count. Awards and prizes will be based on the fastest three times combined. In the fall series participants will be required to run a minimum of 3 races and a maximum of 5 races. The top 3 times from any of the 5 races will count. Awards and prizes will be based on the fastest three times combined. Runners must register for and finish a minimum of three (3) of the following six (5) 5km runs during the spring of 2017. Runners must register for and finish a minimum of three (3) of the following five (5) 5km runs during the fall of 2017. * Race dates/venues have are subject to change. A minimum of 3 races and a maximum of 5 will be scheduled in La Carrera de Campeones, presented by CORA Health Services & Personal Running Solutions. Dates may be added or changed as race schedules are finalized or modified. ​It's free. PRS Race Timing will automatically track participants running multiple races as the year progresses. No separate registration is required. are not eligible for cash prizes. ​Scoring is simple. It's based completely on a runners combined best three race times for each season. Gun time will be used for scoring. In the event of a tie after the best three race times are added together, the fasest most recent time will be used to break the tie.